Hey kool kats! 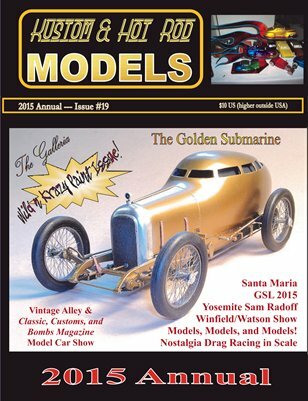 This is the 2015 Annual, mostly featuring photos of some super models built by modelers, including outside the good ol' USA. We've got coverage on several kool events (some never covered by ANY model car magazine), articles, and a section on 'Wild n Krazy Paint'! Check it out!